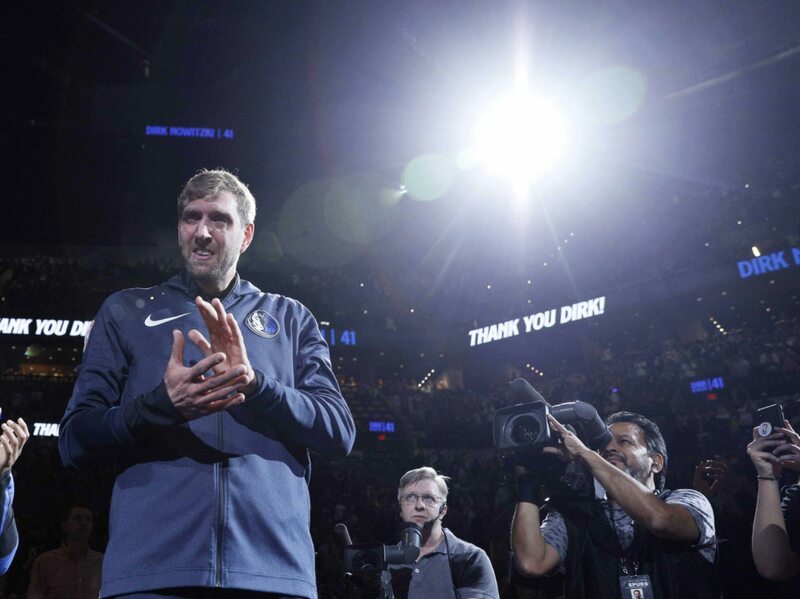 Dallas Mavericks forward and future Hall of Famer Dirk Nowitzki played his final game in front of the home crowd Tuesday evening. Dirk announced following the game that he was going to call it quits. That wasn’t it for the 14-time NBA All-Star and one-time champion. He still had to play on the road against the San Antonio Spurs Wednesday evening. Prior to the game, San Antonio gave an emotional Nowitzki one heck of a send off during introductions. That’s a tremendous way to pay your respects to a man that your team has been going up against for the past 21 seasons. Both Texas-based teams have been battling in the standings for a large part of that two-plus decade span. But when it comes down to it, Spurs head coach Gregg Popovich and Co. have respect for their longtime foe. It showed in a big way here.